This Web Site and its related pages are to provide information for your own purposes. Information should not be considered to be completely error free or to include all relevant information, nor should it be used as an exclusive basis for decision making. The user understands and accepts that if Rural Health West were to accept the risk of harm to the user from use of this information it would not be able to make the information available here because the cost to cover the risk of all harms to all users would be too great. Therefore, use of the information is strictly voluntary and is at the user's sole risk. Rural Health West is not responsible for the contents of any outside sites through any external links provided, and such links are not an endorsement of the external site as to its quality, accuracy or completeness or in any other way. 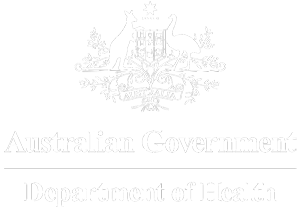 Unless otherwise stated, the material published within this website is copyright of Rural Health West. No part may be reproduced, in whole or in part, without the specific written permission of Rural Health West first hand and obtained. By accessing its IT services you accept and agree that Rural Health West provides IT services with reasonable care and skill. However, insofar as the Law permits, Rural Health West makes or implies no warranty as to the quality, continuity, life or wear of any materials or services supplied, or that they will be suitable for any particular purpose or for use under any specific conditions. Nor does Rural Health West and its staff accept any responsibility for the use which you make of advice or information which they give, of opinions which they express, or of materials, services, certificates or documents which they supply.